Animal Jobs Direct is the site with the latest worldwide animal jobs, career advice, training courses and volunteer opportunities. Visit us for jobs with dogs, jobs with horses, wildlife jobs, jobs with cats, animal charity jobs, veterinary jobs and more. Your dream job working with animals could be just a click away. It’s easy to feel like we can’t make a difference. But small, easy actions, if taken by enough people, can move mountains – and save planets. Written in collaboration with leading environmental experts from WWF, this short book provides simple changes we can all make to our everyday lives, from morning to night. These aren’t the only things you can do. Nor are they things you have to do. 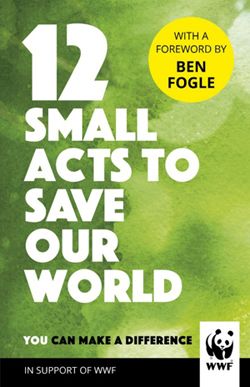 But these 12 small acts are basic steps anybody can take, and if even one of them sticks, our children will inherit a better world. will take only moments, but if enough people commit to them, we can make a real difference to our planet. Jean Hartley, born in Kenya, was acknowledged as being the first to legitimise "fixing" for wildlife film crews. Over the last 25 years, she has worked on over a thousand films, the vast majority being about wildlife and nature. In this insightful book she features five of the great film makers who all started their careers in Kenya in the 1950s, legends whom she is proud to call personal friends. Watching all their films, and many more, she became fascinated by the history of film making in Kenya and determined to find out when it all started. She traces the roots of wildlife film back a hundred years, drawing on accounts of the original film makers and the professional hunters who guided those early safaris. She tracks the changes from those grainy, speeded up, silent films through to the technologically perfect High Definition and 3D films that are being made today. 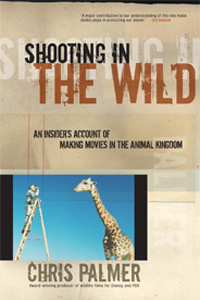 163 pages including a chronology of wildlife film making in East Africa - ask if interested in this book. Read Jean's introduction on our 'Features Page'! 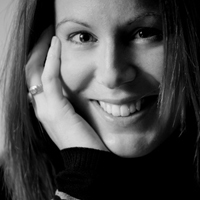 Natalie Gilbert is a writer, photographer and online manager with a postgrad in Anthrozoology. She runs AnimalTheory as the foundation for her explorations of the human-animal bond focusing more on art, literature and online portrayals of animals than anything else. All of her work is expressive and encouraging of debate, contribution and development - more an open conversation than a statement. Natalie co-runs Viral Pandas, which is an online exploration of animals in the ether. The project invites contributions and comment from others. Take a look at the project and leave your comments at viralpandas.wordpress.com or on any of the related social networks. A strong researcher, communicator and organiser, Natalie is happy to collaborate and assist with projects about the human-animal bond, be they artistic, educational, or practical. She has herself undertaken a Wildeye camera course to complement her photography and takes an avid interest in the development of these practices. 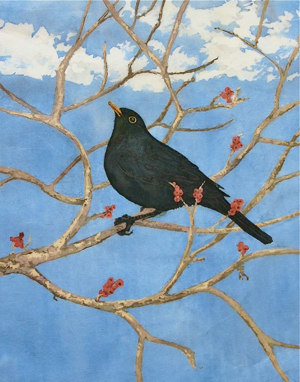 Anne A Bologna is a batik artist and devoted twitcher. 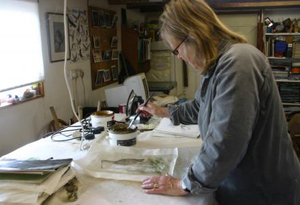 She has a studio in West Cork, Ireland, where she combines these passions, creating outstanding batiks of birds in their natural habitats. She has exhibited widely in the UK, USA and Ireland, and a good selection of her work can be seen on her website. Now in its fifth year, this highly acclaimed and unique wildlife photography competition has captivated the nation with outstanding and beautiful imagery. It is a celebration of British wildlife as well as a showcase for nature photographers, both amateur and professional. With twelve separate categories the subject matter covers everything from marine life and animal behaviour to creepy crawlies and urban wildlife. Wildlife in HD is a special new Award for HD Video and will be awarded to the most inspirational and dynamic film, which clearly illustrates the unique power of moving images as a medium for capturing British Wildlife. The 2013 winners were announced in September 2013. 2013 HD Video winners – See the Feature Pages: BWPA 2013 Winners Announced! & Highly Commended Films at the BWPAwards! 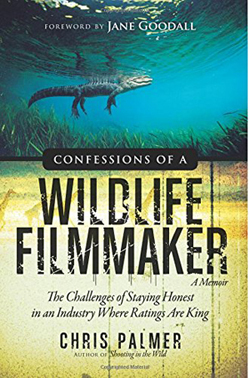 Confessions of a Wildlife Filmmaker is part memoir, part confession, and part indictment of the cable and television networks for failing to put conservation, education, and animal welfare ahead of ratings and profits. It’s also about the mistakes he’s made while struggling to excel in a profession he loves. He argues that the state of the wildlife filmmaking industry worsens every year and says that it’s time for wildlife filmmaking to move in a more ethical direction. He makes a compelling case that we must make broadcasters like Animal Planet, Discovery, National Geographic, and the History Channel do better, and that it’s time for viewers and filmmakers to fight back. Review by Piers Warren: How refreshing to read such an honest and revealing account of the wildlife film-making industry. Chris Palmer describes his own journey through the business, his concerns as he realised it was not as ethical as many people think, and offers insights into how the situation could be improved. It's not often that you read a book that is both clear about the depth of the problems and who are causing them, but also leaves the reader on an optimistic note with the list of positive solutions that could and should be adopted. 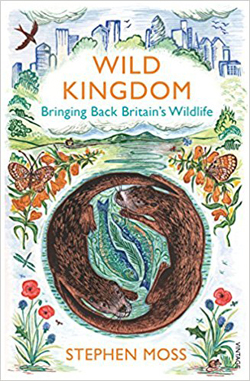 The threats that the natural world currently face are far too important and urgent for large networks to continue making facile and damaging shows, and this book shows how bad the situation has become. Highly recommended. A tour of some of the world's most iconic and endangered species, and what we can do to save them. Most of us are aware that many animals are threatened by extinction--the plight of creatures such as polar bears, tigers, and whales has been well publicized. While this is typically attributed to climate change and habitat destruction, few people realize that there is a direct link to consumer demand for cheap meat. Some may see intensive farming as a necessary evil. After all, we need to produce more food for a growing global population and are led to believe that squeezing animals into factory farms and growing crops in vast, chemical-soaked prairies is efficient and leaves land free for wildlife--but this is far from the truth. With the limits of the planet's resources now seemingly within touching distance, awareness is growing about how the wellbeing of society depends on a thriving natural world. Through the lens of a dozen iconic and endangered species, Dead Zone examines the role of industrial farming in their plight and meets the people doing something about it. 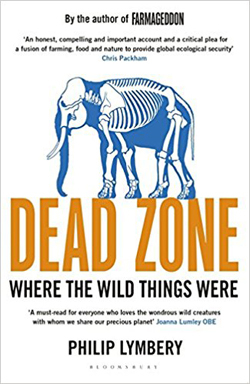 By the author of the internationally successful Farmageddon, Dead Zone takes the reader on a global safari involving some of the world's most iconic and endangered species. The focus shifts from the plight of farm animals to the impact of industrial farming on specific endangered species, as the book lays bare the myths that prop up factory farming and shows what we can do to save the planet with healthy food. ECOSTREAMZ is a new digital streaming platform similar to Netflix and Hulu, whose solitary goal is to provide easy access to important films and media dealing with environmental, social justice and wildlife conservation issues. In this day, when so much is happening at breakneck speed, it is now more critical than ever to be well informed. ECOSTREAMZ’ mission is to become THE media clearinghouse for the activist community to learn from, grow and come away being able to make a positive difference in this world. 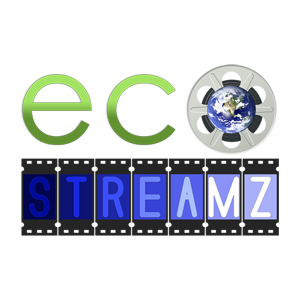 While there are numerous streaming services out there today covering virtually every genre and topic, to our knowledge, nobody is doing exactly what ECOSTREAMZ is doing, the way we’re doing it. Partnerships – We’re not just a collection of movies. If you browse our site, you will notice we are aligning ourselves with organizations all over the globe covering a wide variety of issues. Through these partnerships, we provide organizations a wider audience by hosting their videos on our platform which can ultimately translate into more donors for the non-profit. Additionally, we promote our partners in newsletters and all appropriate press material. Organizations even have the opportunity to receive quarterly royalties based upon viewership of their videos during the prior period, see below. Some of our current partners include: International Primate Protection League, Ape Alliance, Gorilla Foundation, ALERT, CAPE (Center for Animal Protection and Education), SYRCL (South Yuba River Citizen’s League), the Borneo Project, In Defense of Animals, WildAid and most recently IISD (the environmental reporting service for the United Nations). Revenue Share – We give back. In fact, we give back more than most streaming services….80% of net revenue goes directly back to the filmmakers and/or organizations through a quarterly revenue share of films and media viewed during that period. Most streaming services only offer royalty percentages of between 25% and 50% net. 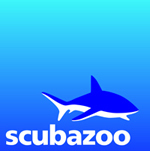 Member discounts – We offer our partner’s members discounts on subscriptions to ECOSTREAMZ. Anywhere from 25% to 50% off the already low monthly subscription rate of $3.99. Singular Focus – Our only concern is making the world a better place. We are accomplishing this by presenting the most diverse collection of issue-related content anywhere. For that reason, our platform contains films both short and long and from all parts of the world. Some have received awards and some may be well known. But most you will never see anyplace else but on our site. This is due to the fact that we do not acquire films based on their popularity, but rather, on what they can offer the world in terms of a change message. If you are interested in having ECOSTREAMZ host your films or if you wish to become a sponsoring organization, please contact us at: info@ecostreamz.com. 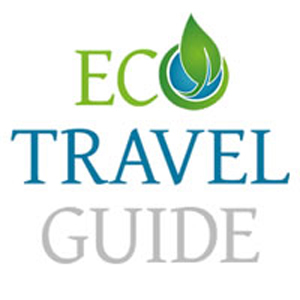 The website www.ecotravelguide.eu was founded by Michael Cowton in 2013. Michael, an outdoors writer, editor and photographer, has a passion for nature-based travel and wildlife. A member of the International Travel Writers Alliance and The International Ecotourism Society (TIES), Michael is a former editor of EcoTravel, Outdoor Pursuits, Camping, Lakeland Walker and Which Motorcaravan magazines, and national newspaper journalist. He says: "With an increasing awareness of globally responsible principles in our everyday lives, the public is clearly keen to adopt these values through their choice of holiday destinations. That is harnessed with the growing understanding that the survival of habitats and species is mostly in local people's hands, and that they need to be able to derive real benefits from their environments if they are to be conserved. With ecotourism increasingly being applied to all tourism that has tangible benefits for local people and the environment, the website aims to bring to the forefront these unusual, alternative and authentic experiences grounded in culture, nature and wildlife, and rooted in local knowledge." 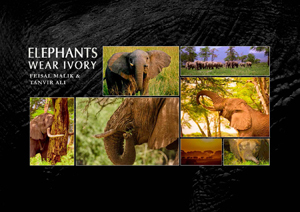 Hard cover book featuring 50 images of elephants taken by Kenyan photographers/film-makers Feisal Malik and Tanvir Ali, along with Augmented Reality (AR) videos from Amboseli National Park. This AR video technology allows the reader to scan the images with their smart phone or tablet and play the video on their devices. With hundreds of advertisers and over 1 million page views per month, we're the UK's No.1 website for jobs, courses and events in the environmental sector. Our specialist sectors include Conservation & Wildlife, Ecology and Marine Conservation. Farm animals have been disappearing from our fields as the production of food has become a global industry. We no longer know for certain what is entering the food chain and what we are eating - as the UK horsemeat scandal demonstrated. We are reaching a tipping point as the farming revolution threatens our countryside, health and the quality of our food wherever we live in the world. 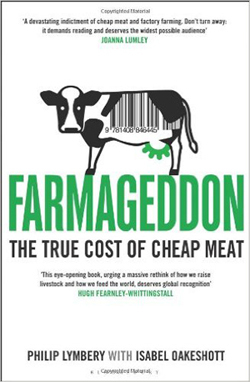 Farmageddon is a fascinating and terrifying investigative journey behind the closed doors of a runaway industry across the world - from the UK, Europe and the USA, to China, Argentina, Peru and Mexico. It is both a wake-up call to change our current food production and eating practices and an attempt to find a way to a better farming future. 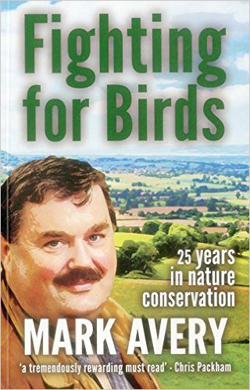 Devoted to birds and wildlife since childhood, Mark's early scientific research at Oxford, Aberdeen and the RSPB provided a solid background for his management, ambassadorial, and political lobbying activities which were to follow and his larger than life, yet quietly humane personality has provided the final tools in his own, unique, nature conservationists toolbox. A personal, philosophical and political history of 25 years of bird conservation, this book provides an instructive and amusing read for all those who would like a glimpse into the birds and wildlife conservation world what the issues are, what must be done, how it can be done, and the challenges, highs and lows involved. "Using The Power Of Film And Media To Conserve Our Natural World"
The mission of Filmmakers for Conservation is to promote global conservation through the making, broadcasting and distribution of films, and to help conservation organisations and filmmakers worldwide produce a greater number of better-informed and more effective conservation films. It is often said that conservation films don't make a difference - Filmmakers for Conservation dispels that myth. The online library of conservation films. Films That Make a Difference is a collaboration between Wildlife-film.com, Wildeye, The Brock Initiative, the American Universitys' Center for Environmental Filmmaking & Filmmakers For Conservation. FILMS THAT HAVE MADE A DIFFERENCE - Films that have been documented or otherwise proven to have made a real and tangible difference to a conservation issue. FILMS THAT HAVE CONTRIBUTED TO MAKING A DIFFERENCE - Undocumented or unproven but made about an issue that has found a degree of success. FILMS THAT HAVE A CONSERVATION/ENVIRONMENTAL MESSAGE OR THEME - Good conservation films that will have raised awareness of an issue but no conclusive successes known. FILMMAKERS WHO HAVE MADE A DIFFERENCE - This category includes filmmakers and organisations that have made a significant contribution to conservation film making over time: Collectively, their films have made a difference! We are very keen to increase the number of films that are listed, so please get involved and send in your films and/or ideas!! 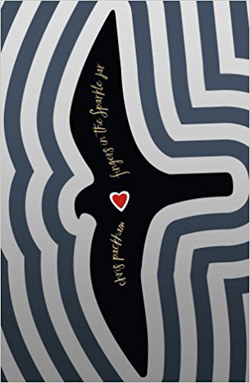 We think this book is essential reading for all interested in Chris, his career and the natural world but also anyone interested in the trials of life. A short guide to going vegan - the why, the what and the how. Going vegan is easy! 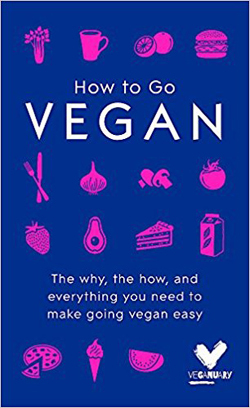 Whether you're already a full-time vegan, considering making the switch or know someone who is, this book will give you all the tools you need to make the change towards a healthier, happier and more ethical lifestyle. Why try vegan? Animal welfare, the environment, health benefits and your personal adventure. How to go vegan. It's easier than you think. Into the Wild is a blog brought to you by Frontier covering news stories, interesting features, amazing film & photography, competitions and much more from the world of wildlife, travel, the environment and conservation. We also aim to bring you all the latest news and volunteer reviews from all of Frontier's amazing projects and internships around the world. Come and see what we're all about...even if it's just to see our latest Photo of the Week! Alan Root is one of Africa's most bitten. In the course of his adventures he has been mauled by a leopard, a silverback gorilla and a hippo, and almost lost his life to a deadly puff adder, which claimed one of his fingers. Root's unmatched experience of East African wildlife and his appetite for risk have made him a world-class naturalist and film-maker. He's one of the great wildlife pioneers. 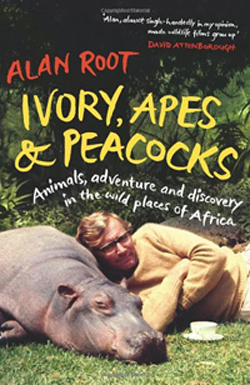 In Ivory, Apes & Peacocks, Alan tells the story of his life's work, from his arrival in Kenya as a young boy (furious at having to leave behind Britain's birds) to the making of his game-changing films. Instead of sticking to the Big Five animals, these looked up close at whole ecosystems - baobab trees, termite mounds, natural springs - and involved firsts such as tracking the wildebeest migration from a balloon, then flying it over Kilimanjaro, filming inside a hornbill's nest and diving with hippos and crocodiles. Along the way we meet Sally the pet hippo and Emily the house-proud chimp, watch as Dian Fossey catches sight of her first mountain gorilla and have sundowners with George and Joy Adamson. And here, too, is Joan Root, Alan's wife and collaborator for over thirty years, who was brutally murdered in retaliation for her environmental campaigning. In this extraordinary memoir we look at Africa's wonders through the eyes of a visionary, live through hair-raising adventure and personal sorrow, and also bear witness to a natural world now largely lost from view. Published by Chatto and Windus, available at Amazon.com & Amazon.co.uk. Life on TERRA is the award-winning science and natural history podcast series that explores the natural connections that propel life on Earth. Overseen by graduate students in the MFA in Science and Natural History Filmmaking Program at Montana State University, TERRA distributes independently produced science, nature, and environmental films. 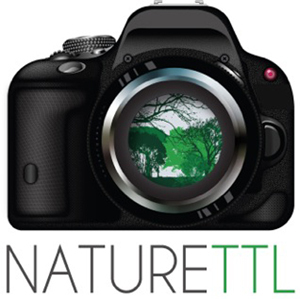 Nature TTL is a free resource for nature photographers looking to improve their technique and get closer to the perfect shot. Our website is filled with tutorials, inspirational features and equipment reviews - all written by the best in the business. Scubazoo's photographic images regularly appear in publications all over the world and we have published two successful coffee table books called, reef and Sipadan, Mabul, Kapalai – Sabah’s underwater treasure. reef has been translated into more than ten languages and sold over 150,000 copies worlwide. Released in early December 2011, Scubazoo’s latest coffee table book: Maldives – The Underwater Kingdom captures the wonder of the Maldivian underwater world — a world that needs protecting, to ensure our aquatic treasures are preserved for future generations. The book is 268 pages long and includes a DVD insert which closely follows the book. All online orders will ship with a free Maldives 2012 wall calendar (take a look here). Take a look at our photographic services.. There is a wild sea-forest growing beneath the wind and waves at the southern tip of Africa. Here, millions of creatures live in a borderless realm still ungoverned by man and it is strange and beautiful beyond the telling. Craig Foster and Ross Frylinck grew up playing in these forests, and this early immersion in the ocean had a subtle and profound impact on the course of their lives. The book, edited by Philippa Ehrlich, documents their rediscovery of the forests of their childhood and showcases Craig’s photographic work over the past decade. 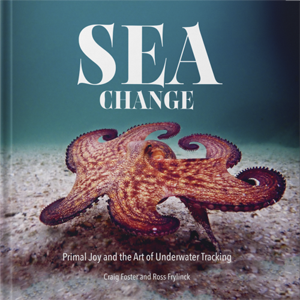 Craig has become a world expert in kelp forest ecology and developed the world’s first form of underwater tracking. Diving without wetsuits in the icy waters, both Ross and Craig discovered how immersion in the cold generated new reserves of energy for their minds and bodies, and how curious forest creatures became more receptive to them. This selection of images of creatures to be seen in Scotland, is the product of the author's enthusiasm for his native country's wild places and the things that live there. Compiled from images collected over a dozen years since his retirement from the world of education the text outlines his belief that in this digital age, through publication of their photographic work, many amateurs like himself can help introduce and inform people in Scotland, and visitors from abroad, about the natural world that lies in many cases not far from their doorsteps His particular interest in species such as mountain hare, ptarmigan and snow bunting give a clue as to his favourite places in Scotland and his photograpic images of these species have seldom been bettered. His love of the high ground is apparent too from the number of the plants illustrated which belong to the moorlands and hills. His fascination with the shorelands is well ilustrated in his images of shorebirds, from those to be found wading in sandy places to those that cling to the cliffs of Scotland's well known seabird colonies. The accompanying audio CD does not duplicate the book's contents but provides a complementary description of Scottish habitats through twelve sound pictures or 'soundscapes' mixed from recordings made from the Atlantic to the North Sea. Particulary atmospheric are the tracks of corncrakes calling all around the stereo picture on the outer island of Barra or the "chorus" of Roe Deer barking in a Strathspey woodland. 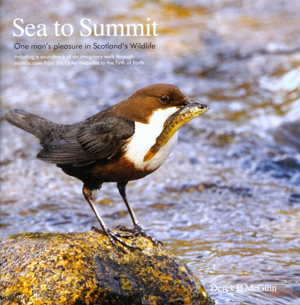 Neither the book nor CD are exhaustive in their selection of images and sounds leaving many more species for the nature watcher, and listener to seek out inspired by this unique collection of images and sounds from the Scottish landscape. And for the visitor from far away here is an ideal, compact distillation of some of Scotland's beautiful wildlife to take home and through which to recall so much of what makes Scotland and its wildlife special. A veteran producer examines the thrilling yet controversial world of wildlife filmmaking—from celebrity follies to life-and-death perils. Wildlife and nature films are a hugely popular entertainment genre: networks such as Animal Planet and Discovery are stars in the cable television universe, viewers flock to IMAX theaters to see jaw-dropping footage from the wild, and the venerable BBC still scores triumphs with series such as Planet Earth. As cinematic technology brings ever-more-breathtaking images to the screen, and as our direct contact with nature diminishes, an ever-expanding audience craves the indirect experience of wild nature that these films provide. But this success has a dark side, as Chris Palmer reveals in his authoritative and engrossing report on the wildlife film business. A veteran producer and film educator, Palmer looks past the headlines about TV host Steve Irwin’s death by stingray and filmmaker Timothy Treadwell falling prey to his beloved grizzlies, to uncover a more pervasive and troubling trend toward sensationalism, extreme risk-taking, and even abuse in wildlife films. He tracks the roots of this trend to the early days of the genre, and he profiles a new breed of skilled, ethical filmmakers whose work enlightens as well as entertains, and who represents the future that Palmer envisions for the industry he loves. Published by Sierra Club Books, available at Amazon.com & Amazon.co.uk. Get to grips with your camera and learn how to start taking photos that you are proud of. 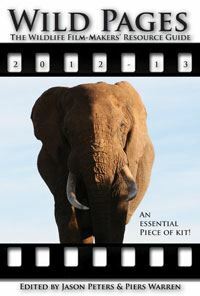 If you are relatively new to wildlife photography, then this 100+ page eBook is essential for you. Understand your camera and learn techniques used by professionals to achieve beautiful shots. Learn all the basics and how to operate your camera. Know how to find wildlife and set up a hide. Finally decide which camera and lens you need to buy. Learn expert techniques for photographing wildlife. Break into the business and promote your photography. So You Want to Be a Wildlife Photographer is written by Will Nicholls (founder of Nature TTL), and includes many of the most common questions they get asked by you. 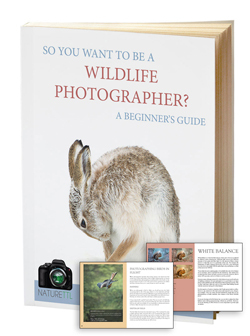 Get expert advice from a professional wildlife photographer. 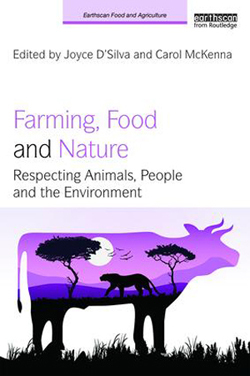 Many books and articles have documented the devastation animal agriculture causes to human health, the economy, the environment, and of course animal welfare. Public figures from Bill Nye to Richard Branson have said that the future of food is animal-free. But readers and listeners are left with one burning question: How do we actually get from here to there? 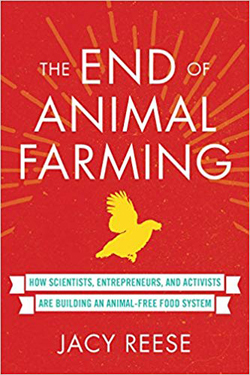 In The End of Animal Farming (Beacon Press: November 6, 2018), Jacy Reese outlines an evidence-based roadmap to a humane, ethical, efficient food system where slaughterhouses are obsolete. Reese tells the stories of activists using data to steer policy and behavior, scientists making clean meat — real meat made from animal cells without animal slaughter, entrepreneurs founding million-dollar food companies (even a billion in one case! ), and thoughtful consumers driving demand to help build this animal-free food system. The End of Animal Farming calls upon readers to join these change-makers in one of the most important social movements of our time. In broader terms, Reese outlines methods for studying effective social change and the expansion of humanity's moral circle, paving the way for future effective altruists to tackle the world's most pressing social problems. Published by Beacon Press, available at Amazon.com & Amazon.co.uk. "A film 10 years in the Making ... I was told it was virtually impossible to do! Recommended by Chris Packham on his blog! "After spending 10 years filming the lives of Sparrowhawks ... a pair of Tawny Owls moved onto the island forcing the sparrowhawks out. This gave me an opportunity to film another of our great and very elusive British birds' lives. The perfect Present for all pony lovers. 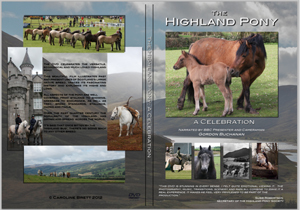 The Highland Pony: A Celebration features the versatile, economical and much loved Highland pony. This stunning film showcases the pony in Scotland's breath-taking hill scenery and coastal landscapes as well as further afield. It traces past and present uses of Scotland's largest native pony breed, its fascinating history and past highs and lows. All aspects of the pony are well covered from showing to dressage, endurance to TREC, as well as breed standards, stallions, mares and foals. 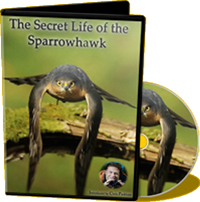 The DVD was made by Caroline Brett, a wildlife documentary film producer/director and narrated by BBC presenter and cameraman Gordon Buchanan. It is a stunning production that reveals a wealth of information and will fascinate everyone interested in horses and ponies. The Native Pony Stallion is a guide to handling and working with an entire pony. The book covers each stage from foal to maturity, and offers advice on how to care for a stallion and prepare him for various disciplines including showing and breeding. 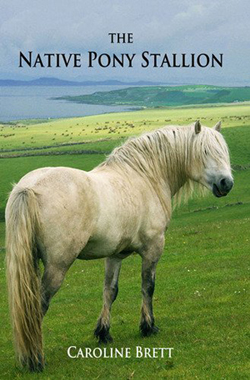 It contains detailed veterinary guidance, information about stallions from the Native Pony Societies, useful tips and helpful insights on each British native pony breed gleaned from interviews with experienced pony people. 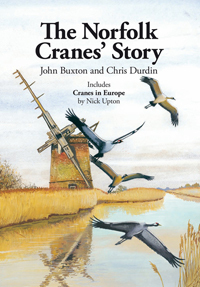 This book – published in July 2011 – tells the story of how cranes bred at Horsey in Norfolk, and how they were protected and studied there. The cranes’ story starts with their arrival at Horsey in 1979. Their first nesting attempt was in 1981 and the first chick fledged in 1982. From this slow start in the Broads, the re-colonisation of this iconic wetland bird is now taking small but steady steps forwards elsewhere in the UK. Their guardian at Horsey was – and is – John Buxton. Much of what we know about cranes in the UK was contained in John’s memory and notebooks. The co-author is Chris Durdin from Honeyguide Wildlife Holidays and for many years on the RSPB's staff. With John providing the information and Chris doing the writing, this was how the book was completed. In part three, Cranes in Europe, Nick Upton describes the challenges facing cranes in the rest of Europe, charting their recent rise in numbers that has contributed to their reappearance in the UK. Check out the website and get the book here! 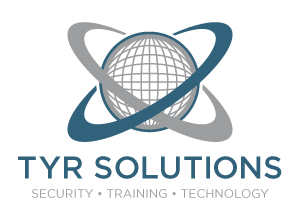 TYR Solutions is a risk mitigation company. We provide a number of solutions from training, equipment and consultancy. Our philosophy is that no two organisational entities are alike, and that many interrelated factors such as the nature of their business, profile of their employees and the geographical range of their assets, uniquely determine their level of exposure, hence customised solutions are required to meet their needs. Whilst TYR Solutions operates predominately in high risk hostile environments for a number of media organisations, we have also deployed consultants on documentaries for health and safety purposes, to build jungle base camps, provide remote medical facilities and individual tracking and secure communications. TYR Solutions has identified the need for medical/security awareness consultancy, communications and tracking support for documentary and wildlife production companies. We have a number of consultants with remote location and FGASA Field guides. Our consultants can also operate as logistics and base camp managers. TYR can also offer pre trip planning. TYR Solutions can enhance communications through the sale or rental of satellite phones, Bgans and personal and vehicle tracking devices and can either monitor the tracking platform for the client or we can set the client with their own platform. To provide superior solutions through customer training, consultancy and support in order to exceed our customer‚s expectations through continuous improvement and interaction. Cook your produce with a selection of satisfying and delicious recipes. 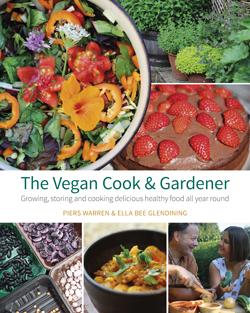 Piers Warren and Ella Bee Glendining are both experienced vegan cooks. Piers is a conservationist, author and keen grower of organic fruit and vegetables. He is the founder and Principal of Wildeye The International School of Wildlife Film-making and has written a dozen books, including the bestseller How to Store Your Garden Produce. He has a long interest in self-sufficiency and permaculture and is convinced that growing your own food and following a vegan lifestyle are important contributions to lowering your carbon footprint and living more lightly on the Earth. Ella Bee is a passionate advocate of animal rights, having been vegetarian since the age of five and making the transition to veganism several years ago. She's spent much time since experimenting with different ingredients and developing delicious new recipes. We can also setup camps for your productions in some of the most remote areas in Kenya. We also have our own production equipment to produce content. We also offer photography services and have published a coffee table book. Wildeye Publishing specialises in publications for wildlife film-makers worldwide. We started with the guide Careers in Wildlife Film-making, which became essential reading for anyone wishing to get into the industry, and now have a growing list of useful books including Wild Pages: The Wildlife Film-makers’ Resource Guide, Wildlife Film-making: Looking to the Future and Go Wild with your Camcorder: How to make Wildlife Films. Also check out Black Shuck: The Devil's Dog – A terrifying new supernatural thriller by Piers Warren set in the village of Blakeney on the North Norfolk coast. Can Britain make room for wildlife? Stephen Moss believes it can. The newspaper headlines tell us that Britain’s wildlife is in trouble. It’s not just rare creatures that are vanishing, hares and hedgehogs, skylarks and water voles, even the humble house sparrow, are in freefall. But there is also good news. Otters have returned to the River Tyne; there are now beavers on the River Otter; and peregrines have taken up residence in the heart of London. Stephen Moss travels the length and breadth of the UK, from the remote archipelago of St Kilda to our inner cities, to witness at first-hand how our wild creatures are faring and ask how we can bring back Britain’s wildlife. Published by Vintage, available at Amazon.com & Amazon.co.uk. Stephen is one of the UK’s leading nature writers, broadcasters and wildlife television producers. Mike Linley has been producing and filming factual wildlife documentaries for over 30 years. Showing TV audiences all over the planet the wonders of the natural world has given him an immense amount of pleasure. However, one thing that’s always concerned him is that the programmes he's made have only been viewable at home, on the TV, removed from the wild spaces of Britain. But now new technology is changing this. 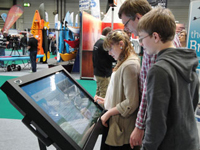 Over the past year he has been working with interpretation specialists Ugly Studios to develop interactive touchscreen displays. These screens enable his vast catalogue of digital video footage, photographs and wildlife facts to be viewed in situ, on a reserve, right there, where the wildlife can be seen. Not only is this fascinating for visitors, it is a useful tool for visitor centre staff to use; helping visitors identify the wild species they have seen and so learn more about them. Download a PDF about WILD SCREENS here. WildFilmHistory is a unique multimedia guide to the history and heritage of wildlife filmmaking. 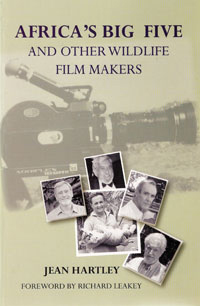 From ‘lost and forgotten’ material to the most astounding developments in wildlife filmmaking plus som ‘behind the scenes’ photographs and oral histories with industry pioneers, this is an invaluable free resource which applauds the determination, ingenuity and passion of individuals with an enthusiasm for the natural world. 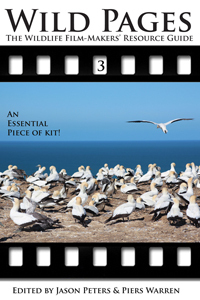 A complete tool-kit of information for all wildlife film-makers – established and newcomers. Listings of wildlife production companies, footage libraries, distributors, broadcasters, location managers/fixers, film festivals, organisations, publications and more, with contact details, weblinks and descriptions. Including answers to those all-important questions such as whether companies take people on work experience or consider co-productions, how to submit proposals etc. Invaluable information at your fingertips to save hours of trawling through the Internet and sending many emails. Second edition of WIld Pages fully updated and expanded - 355 packed pages. 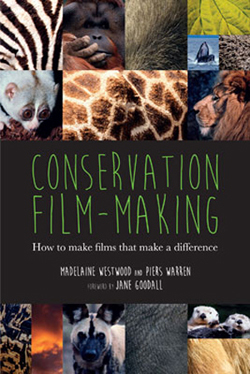 A complete tool-kit of information for all wildlife film-makers – established and newcomers. Listings of wildlife production companies, footage libraries, distributors, broadcasters, location managers/fixers, film festivals, organisations, publications, freelancers and more, with contact details, weblinks and descriptions Including answers to those all-important questions such as whether companies take people on work experience or consider co-productions, how to submit proposals etc. 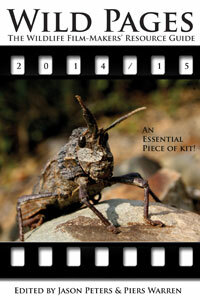 Latest edition of WIld Pages fully updated with 274 packed pages. Paperback: you can order it as a paperback from many online bookstores all over the world (RRP £14.95). For example, it is available from The Book Depository with free delivery worlwide. Also Amazon.co.uk & Amazon.com for paperback and Kindle versions. eBook Order: ‘Wild Pages: The Wildlife Film-makers Resource Guide’ as an eBook is in the form of a PDF file (5Mb) with active email and weblinks for all entries. You can order it by PayPal for immediate download using the button found here. Arkive is an initiative of the UK-based charity Wildscreen – which uses the power of wildlife films and photos to promote a greater understanding of the natural world and the need for its conservation. Arkive (www.arkive.org) is the world’s leading online encyclopaedia about the natural world with over 16,000 in-depth species fact-files and more than 100,000 films and photos. It’s renowned for the depth of information provided and for its accuracy, with fact-files sourced from, or checked by, academic experts. To find out more about Wildscreen please visit www.wildscreen.org. Wildscreen Exchange empowers conservation organisations by connecting them with world-leading filmmakers and photographers to create ground-breaking communications about our natural world. Photographers and filmmakers donate images and footage free for use by not-for-profit organisations in their online and offline communication campaigns. Working with the most influential content creators in the natural history genre and the conservation organisations with the greatest tales to tell, Wildscreen Exchange documents, crafts and shares exclusive, untold stories that the world needs to see, motivating meaningful change and hope for the future. Wildlife Film News is available every month straight to your Inbox! Sign up.